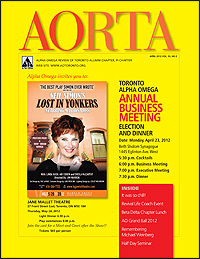 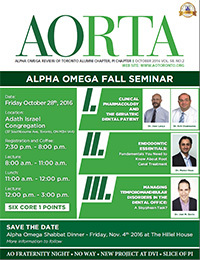 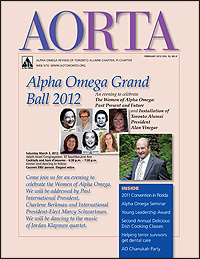 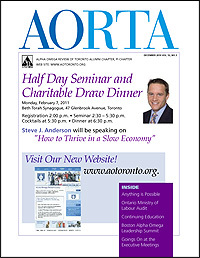 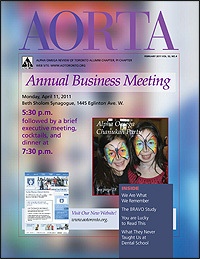 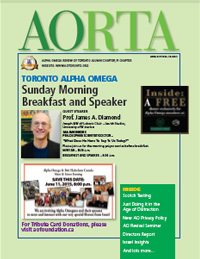 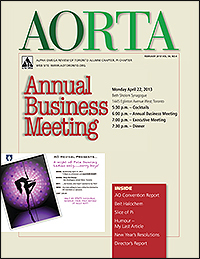 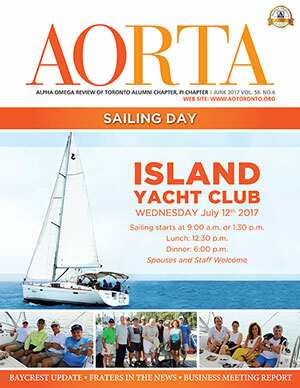 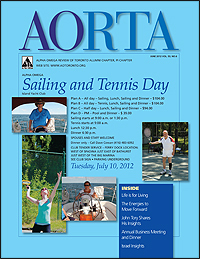 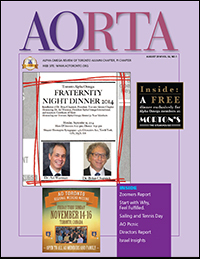 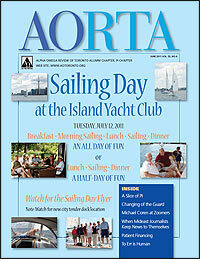 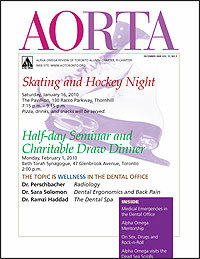 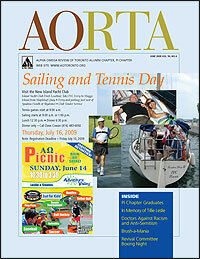 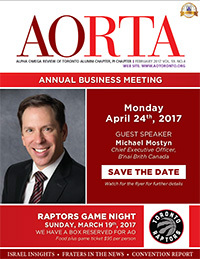 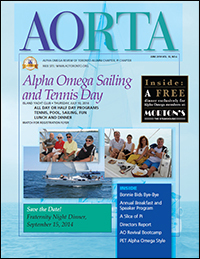 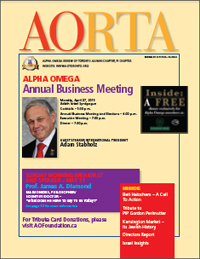 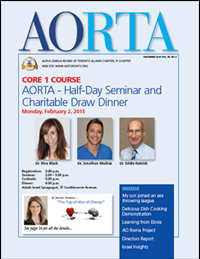 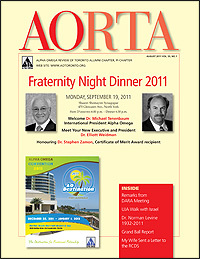 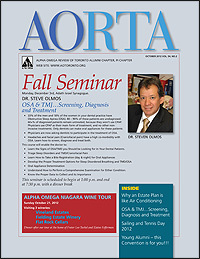 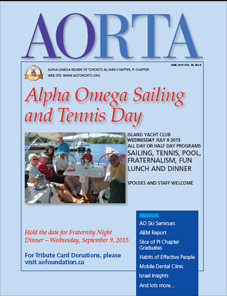 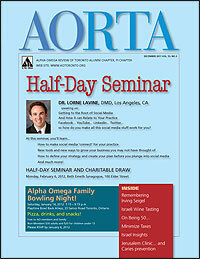 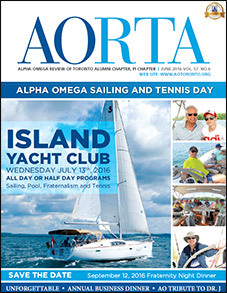 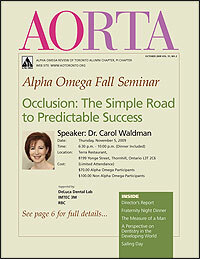 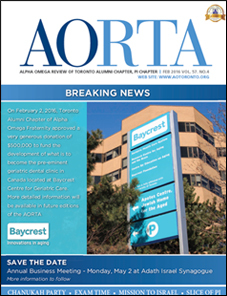 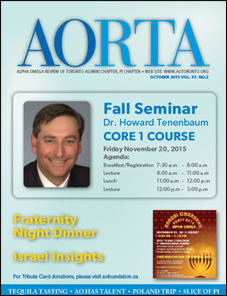 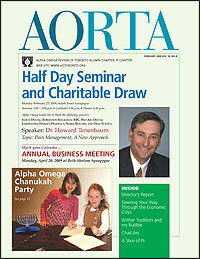 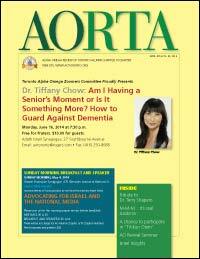 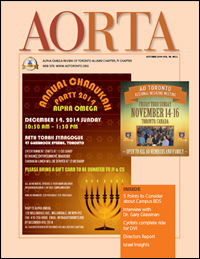 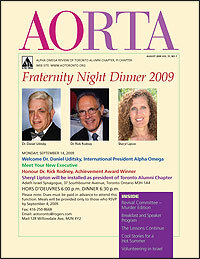 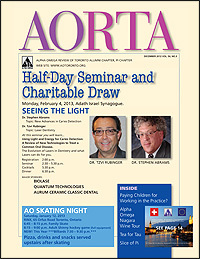 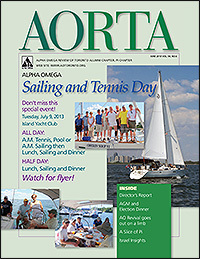 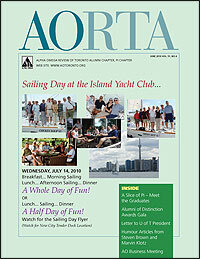 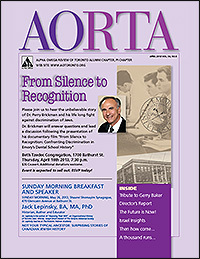 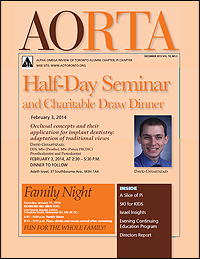 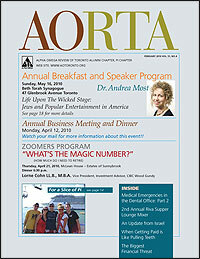 Members can view the most recent edition of AORTA as well as download past issues here. 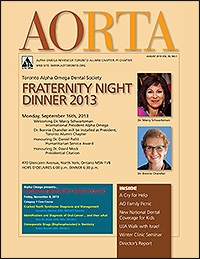 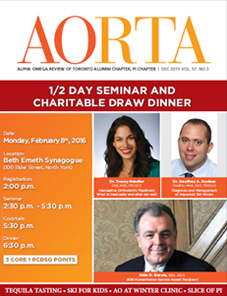 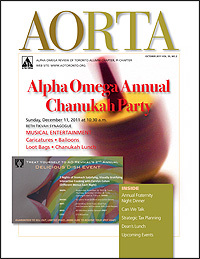 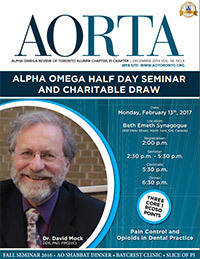 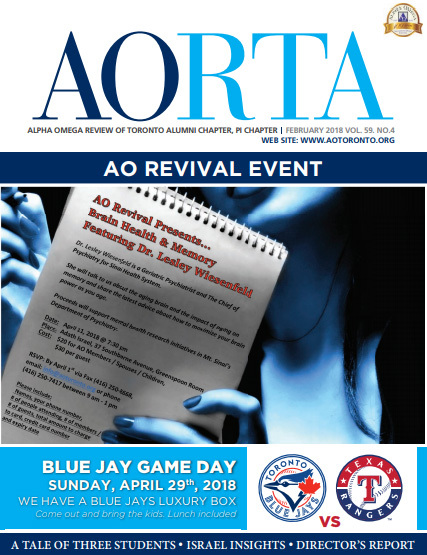 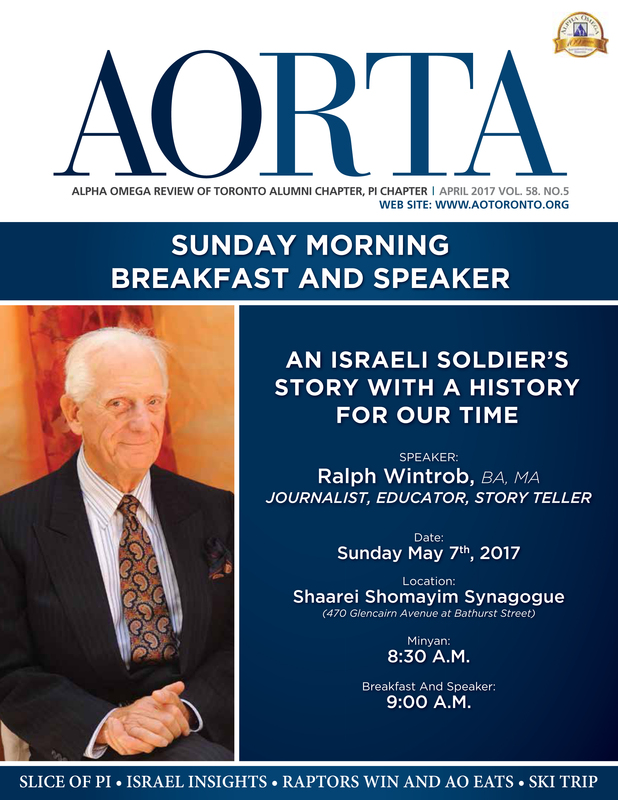 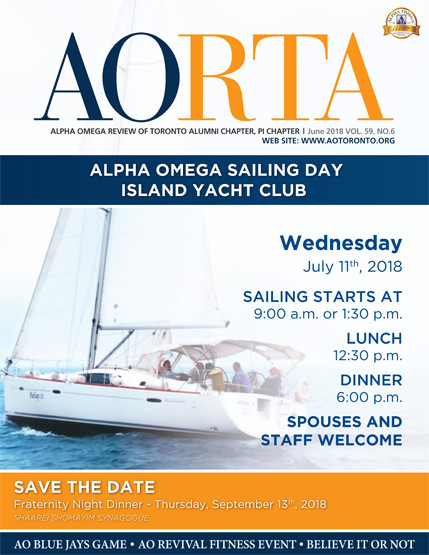 NOMINATIONS WILL SOON BE ACCEPTED for the Toronto Alumni Chapter Awards and the International Alpha Omega Awards. 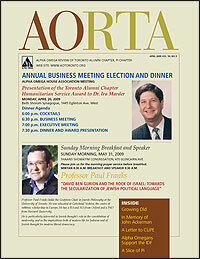 Criteria for each award follows. 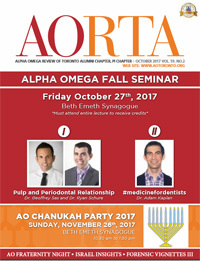 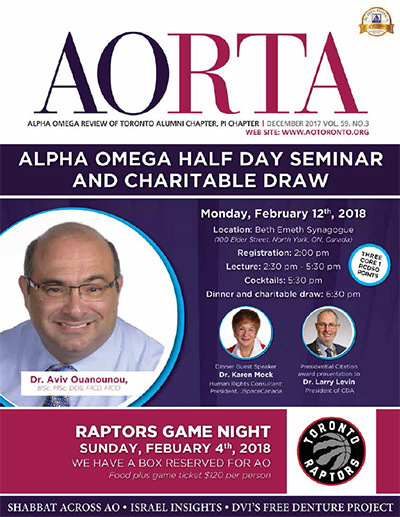 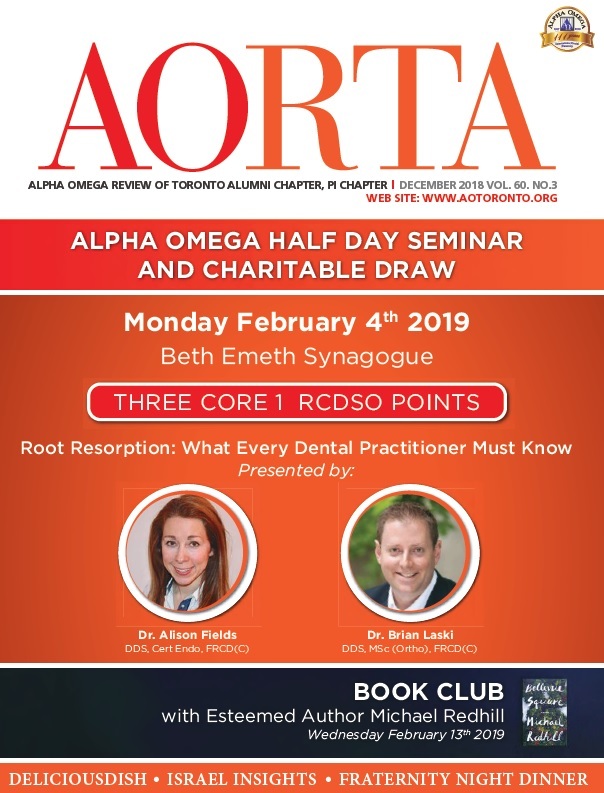 Presented to a frater who has displayed exemplary service and dedication to Toronto Alumni Chapter, Alpha Omega Fraternity, the Profession of Dentistry and the community at large. 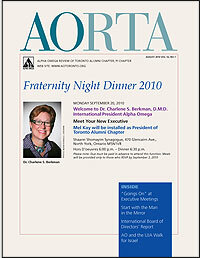 This is the chapter's highest honour. 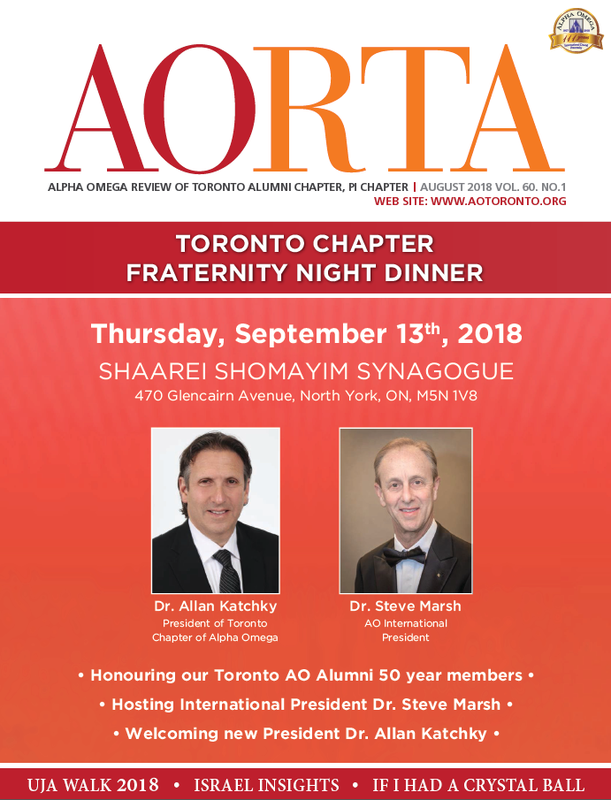 Presented to a frater who has displayed exemplary service and dedication to Toronto Alumni Chapter and Alpha Omega Fraternity. 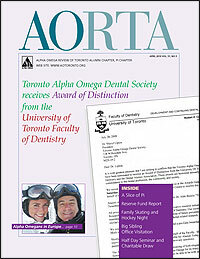 Presented to a frater who has displayed exemplary dedication to the teaching of dentistry. 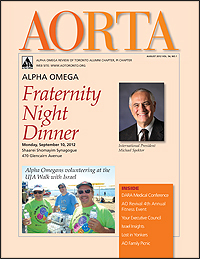 Presented to a frater who has displayed exemplary service and dedication to the community. 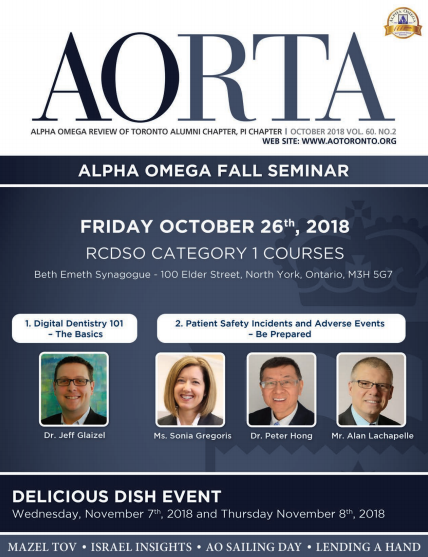 Presented to a frater who has displayed exemplary service and dedication to International Alpha Omega, the Profession of Dentistry and the community at large. 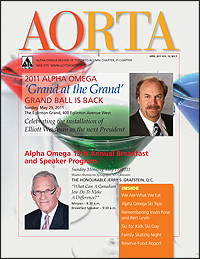 Presented to a frater who has displayed exemplary service and dedication to International Alpha Omega. 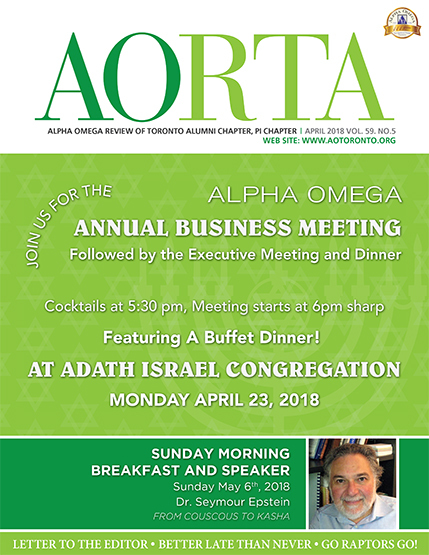 Presented to give recognition on the International level to a young Alpha Omegan who has shown exemplary service to his or her chapter during the past year.